Giving roses to someone can say many different things - I'm sorry, I love you, cheer up, thank you, and so on. And choosing roses for all of these occasions isn't surprising. They're beautiful, they smell amazing, and they come in a ton of different colors. But did you know that each color actually has a very specific meaning? 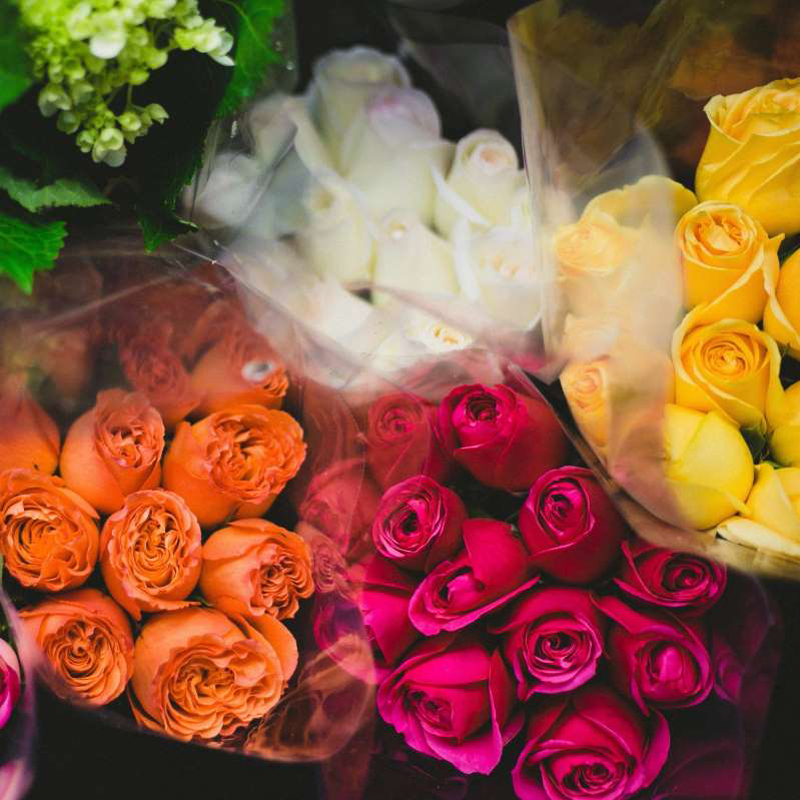 Yeah, so if you were thinking of giving someone special a bouquet of roses, you might want to make sure the color isn't actually appropriate for funerals (queue the awkward silence). Keep reading to see a breakdown of what every color means, so you're armed with the right information and ready to purchase. Red: Traditional red roses definitely hint at love and romance, so if you got them from your significant other, things are looking good. They also signify beauty and perfection. Pink: Gentler in shade than their red counterparts, pink roses have many meanings, including admiration, gratitude, elegance, gracefulness, and joy. Yellow: As you would expect from such a bright, cheerful color, yellow roses convey cheer and joy and are a great flower to express friendship (i.e. these are NOT what you want your significant other to send you!). Dark Crimson: This deeper color is appropriate for funerals, as it conveys grief and sorrow. White: White is the color of purity, so it's no surprise that white roses represent innocence. They go along with the white dress at many weddings, where they also symbolize new beginnings. Orange: Someone may be looking to spice things up with fiery orange roses, which are traditionally the color of passion and desire. Blue: You may be someone's secret crush if you receive a bouquet of blue roses, which represent mystery and intrigue. Peach: These "thank-you" roses are the perfect way to show appreciation or gratitude. Lavender: If you receive a bouquet of lavender roses, things could get very interesting, as they represent love at first sight. Salmon: With a hue that falls somewhere between orange and peach, salmon roses symbolize desire and excitement and are a great choice for a new relationship. Purple: It was Prince's favorite color for a reason - in addition to its associations with pride and enchantment, the purple rose also has ties to royalty. Burgundy: They might be a little too subdued for romantic holidays like Valentine's Day, but burgundy roses, which represent "unconscious beauty," are a great choice for Wintertime decorations.